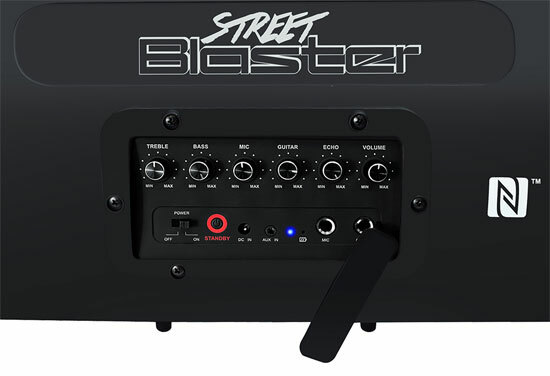 Add some EXPLOSIVE sound with the Pyle Street Blaster BoomBox! 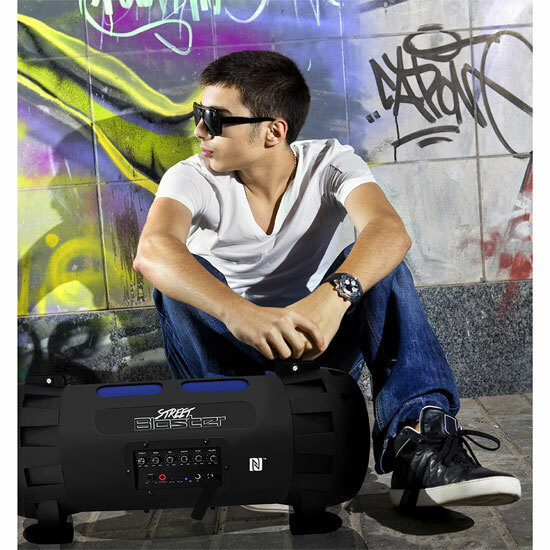 This 1000 Watt Rugged & Portable Bluetooth Speaker System will get the party started – indoors or out. 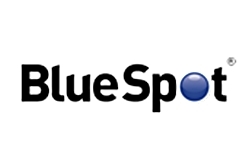 Enjoy (2) wireless audio streaming technologies with built in Bluetooth and NFC. NFC (Near Field Communication) allows you to pair just about any Android device by simply touching your device to the to the Pyle Blaster. 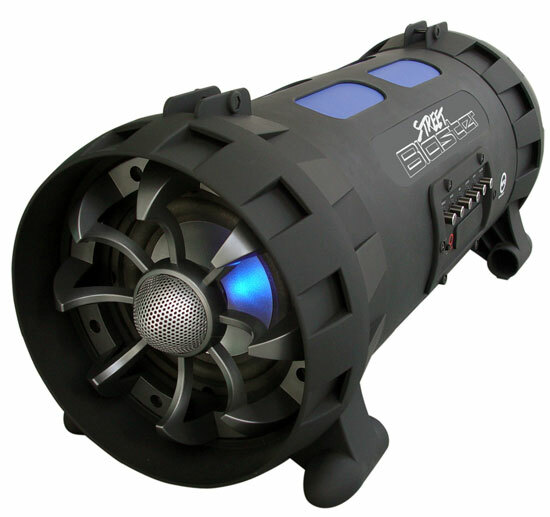 It’s smart engineering was designed for you to quickly and easily get connected and blast some beats with maximum bass performance and full-ranged sound. 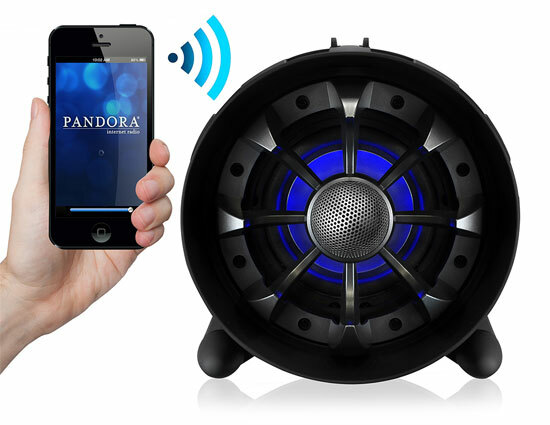 You’ll also be able to wirelessly stream your favorite internet radio services like Pandora or Spotify via Bluetooth. 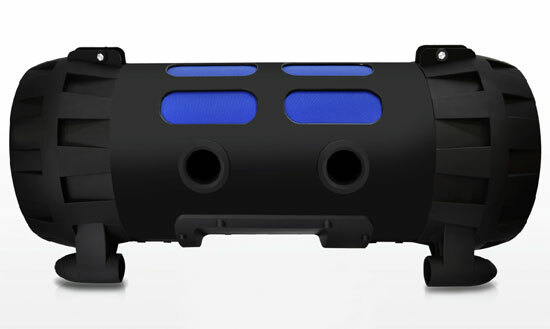 Additional features include AUX-input for connecting external devices like iPods, MP3 Players, smartphones, tablets, PCs, etc. Microphone and Guitar Inputs can turn any occasion into an awesome karaoke party, Audio Settings Configuration Panel to adjust the sound just the way you want it and Built-in Rechargeable Battery for wireless freedom - so it’ll be ready to go when you are. 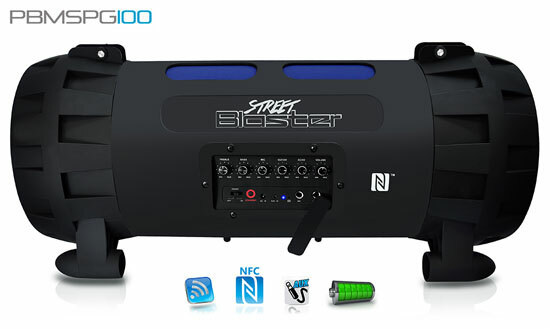 Play YOUR music wherever YOU want and have a BLAST with the Pyle PBMSPG100 Street Blaster!